Today let’s take a look at a children’s book about ants with suggestions for accompanying hands-on activities. Look Inside an Ant Nest (Pebble Plus: Look Inside Animal Homes) by Megan Nicole Cooley Peterson is a straightforward nonfiction book that explores the unseen world of an ant nest. Laid out with large color photographs on the right side page and simple sentences with controlled, subject-specific vocabulary on the left, it is perfect for the beginning reader (first grade reading level). The large size also makes it easy to hold up and read in front of a group of young children. One of the photographs is by Alex Wild, the rest are from stock sources. Pupae are sometimes covered with a silken bag called a cocoon and sometimes not, depending on the ant species. Adult ants emerge from the pupae. Worker pupae are the same size as the workers. 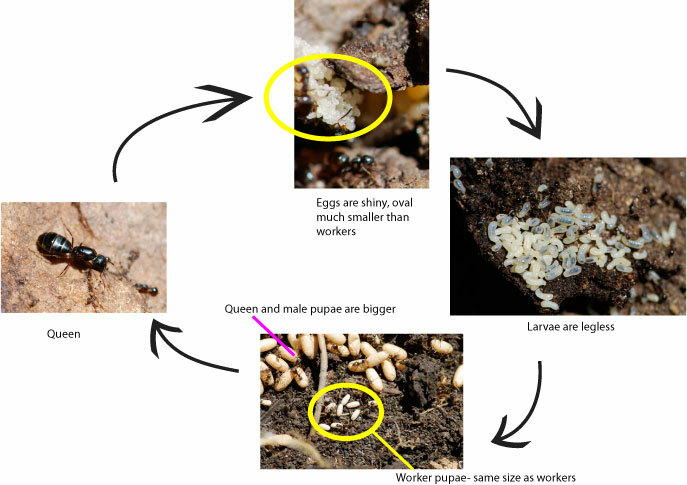 Queen and male pupae are larger than the average worker. For older children, let them construct the life cycle in 3D, for example using marshmallow ants. Dr. Walter Tschinkel has modified a technique for looking at the structure of ant nests by pouring dental plaster or various metals, such as aluminum, into the tunnels, allowing it to dry and then digging up the nest. This gives a negative-space impression of some truly impressive ant nests. This amazing video shows how it is done by experts. (Do not try this at home). 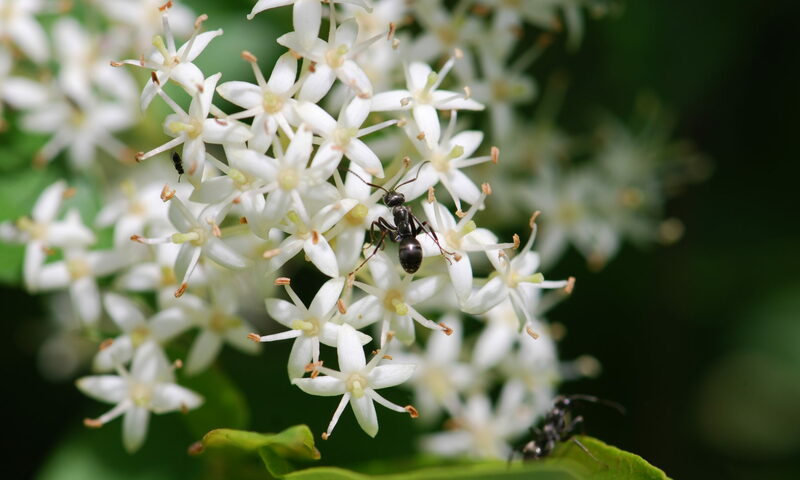 More about Dr. Walter Tschinkel’s Ant Castles can be found at the Florida State University. He’s says that the ants can build the huge one at the bottom in just five days! 1. Draw pictures of some of Walter Tschinkel’s amazing ant nest casts. Label the chambers and tunnels. 2. For older students: Design and draw plans for an underground home for humans. What would be the advantages of living underground? What might some of the problems be? Try drawing up your plans on Google Sketchup or a similar program. Book was provided by publisher for review purposes.